Czech Republic’s largest LGBT event. 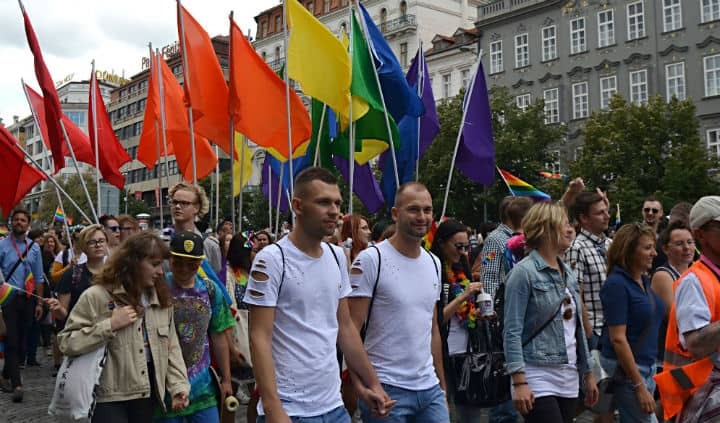 This year, the week-long Prague Gay Pride runs from August 5th-11th. Expect lots of fun activities – concerts, workshops, theatre, exhibitions, film, lectures, discussions, dance parties. The parade takes place in the city centre on Saturday, August 10th. Check the website for full details and program. For accommodation, visit our Gay Prague Hotels page.